Nipsey Hussle performs onstage at Live! Red! Ready! Pre-Show, sponsored by Nissan, at the 2018 BET Awards at Microsoft Theater on June 24, 2018 in Los Angeles. 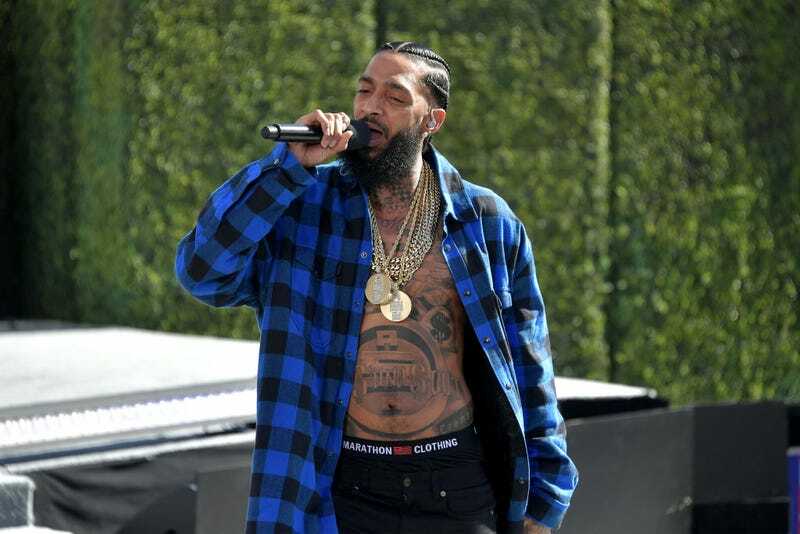 Los Angeles City Councilman Marqueece Harris-Dawson made the announcement on Tuesday that the intersection of Crenshaw Boulevard and West Slauson Avenue will now be known as Ermias “Nipsey Hussle” Asghedom Square, reports the Los Angeles Times. “Ermias Asghedom, known as ‘Nipsey Hussle,’ was an icon and West Coast hero,” Harris-Dawson said in a statement to the Times. “Nipsey’s genuine nature allowed him to be a light to everyone he interacted with, from family, friends, fans and his larger community. More than 500,000 fans from around the world had signed an online petition to have the intersection named in Hussle’s honor after he was killed March 31 in front his Marathon Clothing store, near the intersection that will bear his name. Hussle didn’t just rep his community in his music, he gave back by reinvesting in the neighborhood, opening several restaurants and businesses, including the popular Marathon Clothing store, which often hired ex-felons because of the difficulty they face finding employmen. Harris-Dawson also worked with Hussle on Destination Crenshaw, a 1.3-mile outdoor art and culture project that celebrated the black experience in Los Angeles, according to the Times. The announcement about the street naming comes days before Hussle’s homegoing at the Staples Center on Thursday. Free tickets to the funeral were gone in minutes.